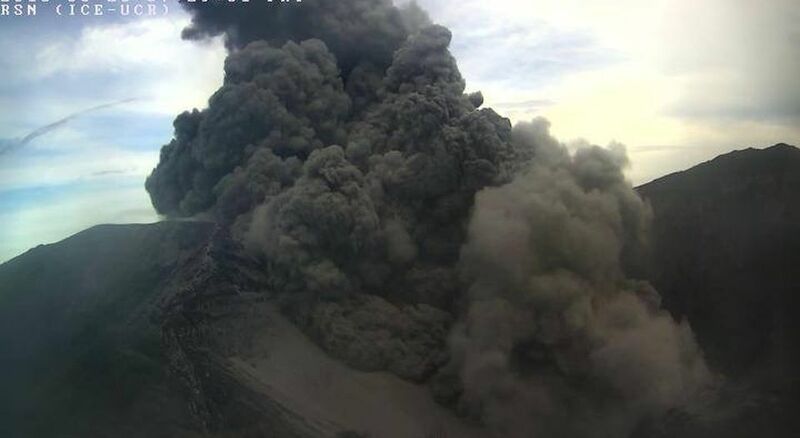 Turrialba volcano has erupted in central Costa Rica, spewing smoke and ash up to 9,840ft into the air. Hundreds of people have been hospitalized, complaining of breathing difficulties and skin problems. People in the capital San Jose, about 30 miles west of the Turrialba volcano, said layers of ash had coated buildings and cars and there was a fierce smell of sulphur. Costa Rica’s National Emergencies Commission has advised people to wear masks and tight clothing to protect their lungs and skin. Costa Rica is home to dozens of volcanoes, but most of them are dormant.